FBI agent Kendra Donovan's attempts to return to her life in the twenty-first century have failed, and she remains in 1815 England. To make matters worse, there's been a murder in London, and Kendra's confidante Alec has come under suspicion. The murdered Lady Dover's past wasn't quite what she said it was, and Kendra is determined to unravel her story which weaves through many layers of the social strata. But her determination to clear Alec's name brings her to the attention, and consternation, of the dangerous underside of London society. 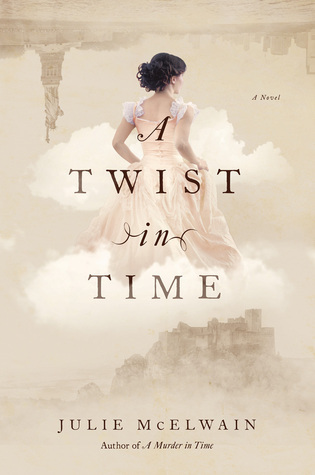 This most recent installment in the Kendra Donovan series continues to be entertaining and fast-paced, and Kendra is a little more at home in the early 19th century, though she still chafes against the confining mores of the time. Seeing the time period through Kendra's eyes is interesting, if a bit predictable at times, but it's still fun to see her intelligence and strength juxtaposed against a culture that doesn't expect that from her. I'm looking forward to the next installment in the series.